Knox Academy has entered the Sunday Times Top 50 List of State Secondary Schools in Scotland! This is a fantastic achievement for the whole school community. Congratulations to everyone! Please note there are over 350 state schools in Scotland. Congratulations to Joshua Marsh who came 1st and 3rd in the East Lothian Solo Piping and Drums Championships held at Preston Lodge High School on Saturday 29 November. Next meeting of the PSP takes place next Wed 3rd Dec 6.15. Agenda to follow shortly. And huge welcome to all our new Facebook followers especially for taking us to the 100 mark. 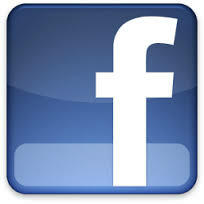 Please “like” the page to receive updates as and when they are available. National 4/5, Higher Success Guides and Specimen Exam Papers are now available to order in school. Order forms can be collected from Mr Plain in the Library, with orders due back into school before end of school on Friday 24th October. Hodder Gibson (Nationals only) offers 20% discount on their SQA approved titles and Leckie & Leckie offer 30% on their titles.